It has definitely been a whirlwind here for my first few days! The first morning that I got here, I went to visit PAN which is an organization dedicated to improving childhood (safety, nutrition, education etc) for kids in need here in Medellin… so it definitely fits well with the Superkids mission. I was so impressed with the programs that they have in place already. I knew from the first step in on that morning, that this would be a very different experience than Ethiopia! 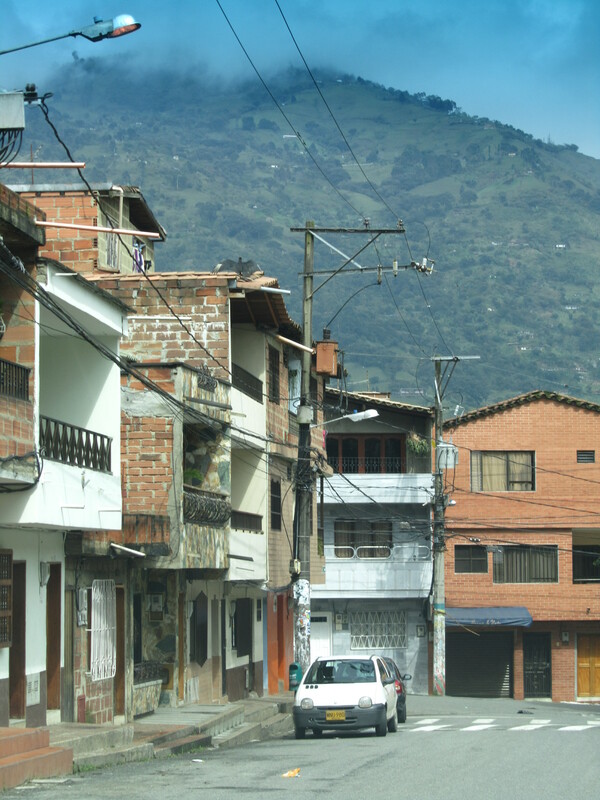 PAN, which has 5 centers in Medellin has several programs including: 0-5 developmental preschool for kids in the low income areas, homes for children in protection (basically the equivalent of children in foster care in the US), and orphanages (set-up as house style living with 1 adult for 8-12 kids). The directors and other leaders of the program were so welcoming and ready to learn. I really think it is going to be an amazing experience! After the meeting, I was so exhausted from listening so hard to understand the Spanish, and trying to form moderately comprehensible sentences to express my (as usual) profound and supremely intelligent ideas (i sound like a 4 year old when i speak spanish) I slept for like 2 hours. Re-instilling a deep respect for the value of language. Then yesterday (sunday) I had another amazing experience. I met Maria Isabel, she is the daughter of Glorias (i cant get the apostrophe key to work) cleaning lady, Carmen. Maria Isabel is 23 and she has cerebral palsy. She had such an amazing personality and light in her eyes. She laughed all the time and was so interested in the music and signing and dancing happening outside her bedroom window! Her mom, Carmen works very hard, but their family has very little money and so Maria Isabel has not had the medical care that she should have. In fact, she has not been to the doctor in almost 20 years. Its amazing really that she is so healthy and is definitely a reflection of how well her mom has cared for her. But she has some pretty significant deformities in her back and pelvis so I am going to work with Maria Isabel and help out with their situation as much as I can. Lets see… in addition to that I have decorated trees and prepared for Christmas more than ever before in my life. Christmas is a HUGE holiday here!!! and we will pretty much begin celebrating on the 7th of December and continue with party after party until the 25th. Already the streets here are filled with lights. Colombian Christmas music is blaring at all times of the day… its hard not to get in the Christmas spirit! (even though those of you who know me well are saying… wait, what happened to my grinchiness with regards to waiting until after thanksgiving. well, here we have no such holiday to respect. so i am totally on board!) Gloria and I are decorating our tree (she bought orange and red ribbon and tons of butterflies.. a little unorthodox for me, but here it seems the more bling the better!) and i will be sure to include a photo! thank you all so much for your well-wishes, thoughts and prayers. The first few weeks of experiences like this are always a little bit trying, as one figures out the lay of the land… and oh yeah, learns to speak spanish! So thanks for the support. nope, no apstrophes in spanish. Hi Keely, Wow! It’s really kind of amazing that you are there and already doing so much. The idea of decorating and celebrating for Christmas already is pretty unbeliveable. Your place there is so beautiful. I’m really excited about the preschools and the teachableness and openness of the directors! Dec 25th. Go figure. Glad to hear your going with it instead of fighting it. The world needs a little more good tidings of joy no matter what time of year. Seriously, your work and spirit continues to amaze me. Be safe. I am so touched by the story of Maria Isabel. I think she is probably one of the main reasons you are there. I will get you some more information that will help with the kids and your training. And a Merry Christmas to you!! Keel You are amazing! Can’t wait to hear more about it and see pictures!